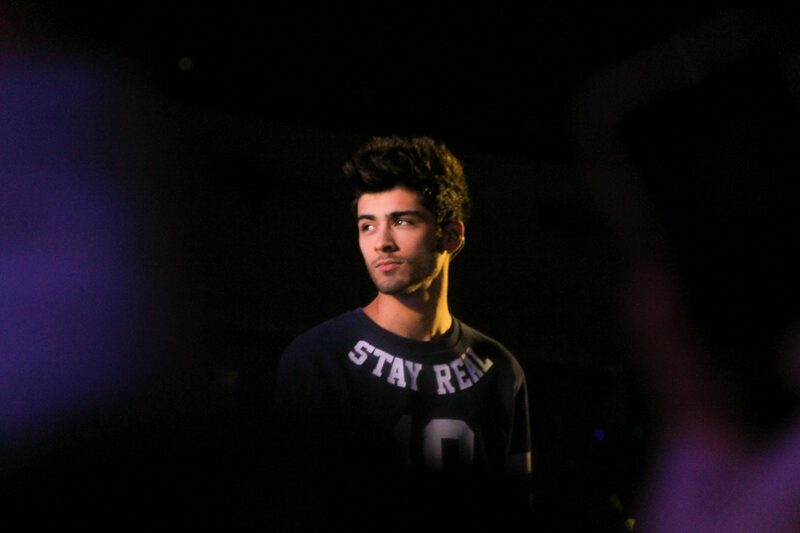 Very recently, Zayn Malik announced that he dealt with an eating disorder during his time with One Direction. This came very shortly after his acknowledgement of his anxiety from consistently being critiqued in the spotlight. I think this is an extremely important representation for our students. Admittedly, I don’t know a lot about eating disorders. When I think of eating disorders, I think of binging and purging. There are connotations that eating disorders are only to become thin. That’s what is represented in movies and books; that’s what we’re led to believe. Malik, however, fits into neither category. He states that his eating disorder was based on his busy schedule and simply forgetting to eat for days at a time because of everything he had going on. Eating was not a priority because everything else seemed more important. That’s so scary because it’s so familiar. It’s so easy to get caught up in the university life. We all have so many responsibilities that our self-care can sometimes be thrown by the wayside. Between class, jobs, extracurriculars and relationships, it’s difficult to keep up with everything that you have going on. It’s sometimes easy to pull three all-nighters in a row or forget to eat while you’re running around to various commitments. As Malik is demonstrating, even though it seems natural, it’s not healthy. Western society, especially in the university setting, has a work-’til-you-drop mentality. If you’re taking a break, it’s seen as lazy. If you’re not looking towards a goal, you’re wasting your time. That’s simply not healthy. Busyness and time commitments come down to your priorities. Your own personal health should always be your number one. There’s been no shortage of celebrities speaking candidly about mental illnesses lately. Malik is just one of many. As always, representation matters. I’d argue that Malik is one of the most popular stars in the world, today. Since the drama of his break from One Direction, he’s found his own sound and fanbase outside of the “Directioner” world. As silly as it sounds, knowing that there are people who are society’s view of “successful” that have the same struggles as you do can be inspirational. When I was diagnosed with OCD, I took solace in Leonardo DiCaprio. Even if he isn’t as public about his mental illness as Malik is, it shows that anyone can be successful while simultaneously having a mental illness — or any struggle, for that matter. If DiCaprio can win an Oscar with OCD, I can surely make something of my life, as well. If I didn’t have this representation, I’d probably still think of my mental illness as an insurmountable barrier that prevents me from reaching my goals. The representation really matters to people like me. The stigma Malik is working to break goes beyond representing mental illness in our society. He is also breaking down barriers of men with eating disorders. Representation of eating disorders, from what I’ve seen, has been confined to female actresses and models. We all know about the pressure to be thin and the photoshopping that comes with it. People are acknowledging that this is very real for him. They realize that the male body is scrutinized in a similar way to the female body. Right now, no one is attacking him for that. That’s a huge step in the right direction. Whether it be an eating disorder like Malik, OCD like DiCaprio, depression like Pete Wentz or J.K. Rowling, generalized anxiety like John Green, self-harm like Angelina Jolie, or any of the other mental illnesses that real people face, the stigmas of our mental illnesses are slowly disintegrating. Like our favourite stars, we can still be successful, not despite our illnesses, but with them.